At Creative IT, we know how frustrating it would be when your Sony laptop has crashed, files gets corrupted, or when your laptop motherboard is dead. Is your Sony VGN-NS laptop's DC power jack loose or broken? Have you lost your critical files from your laptop? Do you want to upgrade or replace your existing laptop's defective parts? Then Creative IT's Sony VGN-NS series repair services will help you to resolve your laptop's entire iss ues. Since all of our Sony laptop repair technicians and engineers have hands-on experience of over 15 years in troubleshooting as well as fixing most laptop issues, our clients can be assured that they will get their laptop back fixed both efficiently and economically. Further, our upgrade and replacement services are second to none in terms of quality and cost effectiveness. 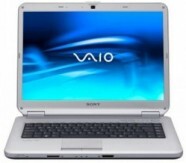 Check out the services that our team offers to repair and upgrade your Sony VGN-NS series laptop. We can fix VGN-NS10E/S, VGN-NS10J/S, VGN-NS10L/S, VGN-NS11E/S, VGN-NS11ER/S, VGN-NS11J/S, VGN-NS11L/S, VGN-NS11M/S, VGN-NS11MR/S, VGN-NS11S/S, VGN-NS11SR/S, VGN-NS11Z/S, VGN-NS11ZR/S, VGN-NS12M/S, VGN-NS12M/W, VGN-NS20E/P, VGN-NS20E/S, VGN-NS20J/S, VGN-NS20M/S, VGN-NS20S/S, VGN-NS20Z/S, VGN-NS21E/S, VGN-NS21ER/S, VGN-NS21M/P, VGN-NS21M/S, VGN-NS21M/W, VGN-NS21S/S, VGN-NS21S/W, VGN-NS21SR/S, VGN-NS21X/S, VGN-NS21Z/S, VGN-NS30E/P, VGN-NS30E/S, VGN-NS30E/W, VGN-NS30Z/S, VGN-NS31EH/S, VGN-NS31ER/S, VGN-NS31M/P, VGN-NS31M/S, VGN-NS31M/W, VGN-NS31MR/S, VGN-NS31MT/S, VGN-NS31S/S, VGN-NS31ST/S, VGN-NS36E, VGN-NS38E/S, VGN-NS38M/P, VGN-NS38M/S and VGN-NS38M/W notebook models. Our repair services are very quick, and we undertake all London Sony VGN-NS series repair and upgrade services for an affordable flat rate. If you have difficulty in personally bringing in your defective laptop to our Central London store, we can organise a secure courier to pick up your laptop. Accordingly we repair your laptop and return it by courier. We offer quick turnaround times. Whatever be your laptop problems, pick-up your phone and give us a call on 020 7237 6805 to let us know your laptop issues and see how our technicians identify and repair your laptop. Queries on our expert London Sony VGN-NS series repair, upgrade and replacement services, can also be forwarded to info@creativeit.net.